Expand your visual communication repertoire with the precision of superior drafting and design tools available within CorelCAD. Touting an intuitive user interface and time-saving features, designers are able to accelerate workflow and deliver impressive, visually-rich CAD designs. Harness your design power with an expansive collection of professional drafting tools that deliver the control and precision professional engineers and designers require. Flexibility meets ingenuity with this optimal toolkit for creating, editing, and annotating technical designs across any industry. Experience the skillful and exacting results of the 3D capabilities in CorelCAD and transition your drawings from 2D drafting into advanced 3D designs. With an array of expert and intuitive 3D modeling and editing tools, designers are well equipped to move from project sketches to 3D output and printing in no time. Streamline project sharing with internal and external stakeholders alike. CorelCAD is fully compatible with the latest version of AutoCAD 2018 .DWG file format to ensure seamless collaboration and includes innovative customization and automation support options to align with any working environment. 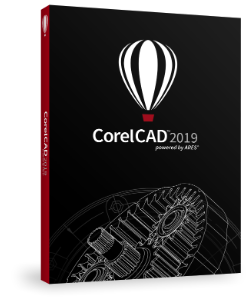 Incorporate key graphics into your workflow with award-winning CorelDRAW technology* and increase your CAD capabilities with additional CorelCAD plugins. Experience advanced CAD performance with the strength of a sophisticated CAD engine powered by ARES and bring efficiency to every CAD design project.